TICKET GIVEAWAY: Catch “Teen Wolf” Star Holland Roden at the AsiaPOP Comicon Manila 2016! 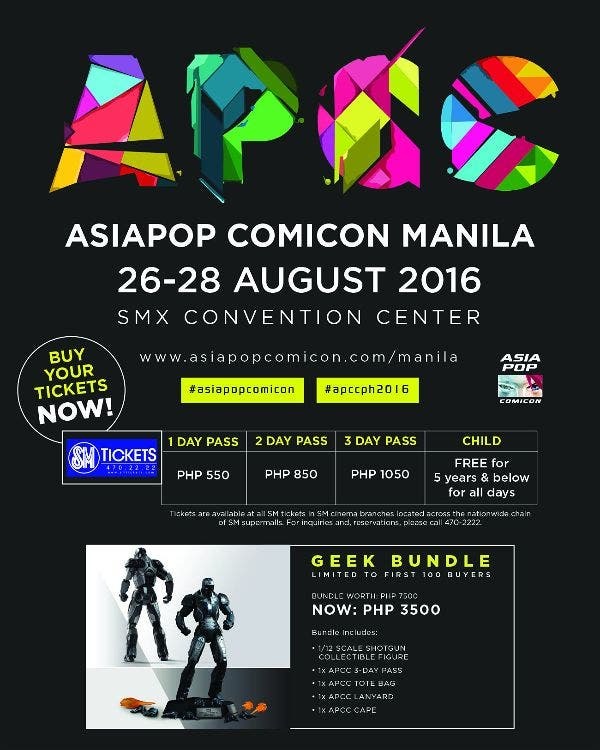 Win passes to AsiaPOP Comicon Manila 2016 here! We’re giving away 6 (six) one-day passes to AsiaPOP Comicon Manila 2016! We are choosing 3 (three) winners, each of whom will get 2 (two) complimentary one-day passes for you and your friend! Contest runs until August 14. You can check back on this article for the announcement of winners. Winners will also be contacted privately. Ready? Join our giveaway below! Congratulations to the following winners of our AsiaPOP Comicon Manila 2016 ticket giveaway! Each of you will receive two (2) one-day passes which you can use either on August 26, 27, or 28. Please wait to be contacted by the organizers. Thank you all for joining, and see you at the AsiaPOP Comicon Manila 2016! LOOK: A 360 Degree View of Intramuros!